My 1986 IT200 rear wheel came with the STUPID Z Spoke design. I want to replace the rear wheel with a straight spoke set up. This will mean I will have to use a different wheel hub. 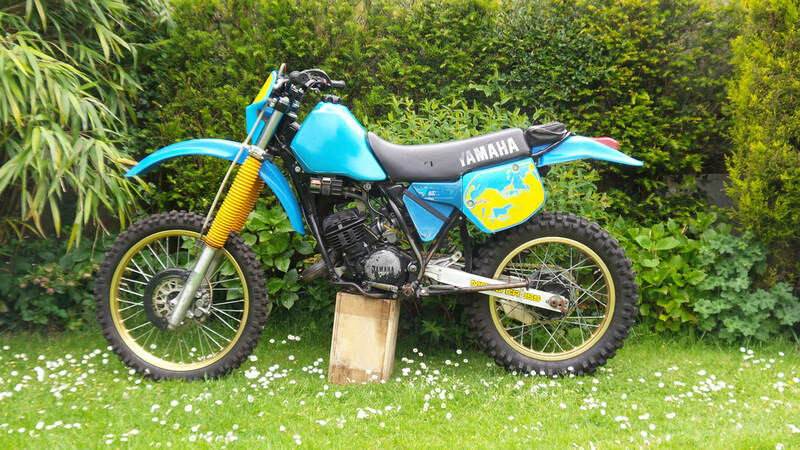 Does anyone know if there is a wheel hub from another Yamaha model (maybee an older IT or YZ model) that will work? I'm thinking I might have to replace the wheel bearings (if it's possible) with a larger center hole in the bearing if the older bikes have smaller axles and maybe have to have some spacers made to compensate if the outer diameter of the hub is a different width from the 1986 IT200 hub. There was a post of a guy who mounted a rotor set up on his 1986 IT200 that was really trick. Hoping to find a wheel hub that will bolt right on. Anyone out there attempted this mod? Any help or ideas will be appreciated. Thanks. Do it in the dirt. The forum has a search button at the top right of the page. Strangely, it works quite well. Mine is 33 years old and still going strong. The Z spoke design so far so good since 1985 on my little beast. These seem to be doing ok for 32 years old ! Simple to lace up and once bedded in seem to never require tightening. I also will run the orginal Z spokes (when I get it running....) on my 200. I know the hub can brake, but I think that might just hapen if you do a lot of big jumps whit it.